Maybe you just graduated college and are looking for a career with great potential. Perhaps your current work leaves you unsatisfied and the dynamic, interactive nature of sales looks like just the fresh start you need. Whatever the case, it’s possible to become a sales rep without previous experience. You just need to approach it from the right angle. Accept you’ll need to pay your dues. Think you’ll make $100,000 your first year? Probably not. The early career of a sales representative means you should be focused on learning as much as you can about how to be the best salesperson possible and getting in-depth knowledge of your company’s products, markets, and industry. That isn’t something you’ll learn overnight, or even in a few months. In fact, it’s an ongoing process – new innovations and techniques are constantly coming to market in response to changes in conditions. Part of this also means emphasizing your coachability and willingness to learn in the interviews. Stay humble and stay hungry. Those two attributes will go a long way to making you stand out versus the candidate who comes in with dollar signs in their eyes before they’ve even begun. Deep dive into your past to see what’s relevant. Although you’ve never formally held a sales position, realistically, you’ve almost certainly used selling skills before. Maybe you sold things you no longer needed (think garage sales) or perhaps you had to negotiate the price when you bought your car. If you’ve ever had to persuade someone of something or engaged in a debate, you’ve used sales strategy before, too. Just because it didn’t involve an exchange of money for a product or service doesn’t mean you weren’t selling. See: Transferable skills. Also consider what relevant knowledge you already have. Video gamers and gardeners, for example, have understanding of the gaming industry and plant care that is applicable to sales positions in those fields. While you’ll still need to learn the ins and outs of your intended employer’s offerings, baseline knowledge of the vertical can both significantly enhance both your candidacy and shorten your window from hire to full productivity. Remember libraries? Those places where you could check out books for free and read them? They still exist and are a great place to start your research into sales. Blog posts from sales experts (like us) that speak to new career reps are another good place to begin learning. In addition to reading about it (or watching TED Talks about sales), consider reaching out to currently employed sales reps. Pick their brains for what the job is like, how they approach sales, things to know when you start, the interview process, etc. If you don’t know anyone personally, ask at your city or local college’s career center. These interviews also function as a form of networking that might lead to your first sales job opportunity. One of our team members who taught college required students to interview someone in their intended career field (in other words, the exact suggestion we’re making here) and write a paper about it. Several of those students secured internships or paid positions as a direct consequence of that class assignment. Tailor your resume and cover letter to the specific job. Every job posting – including for sales reps – lists certain skillsets that are required, and they’re frequently a mixture of soft skills and specific areas of knowledge. Pay attention to those keywords and demonstrate them either in your resume or in your cover letter. This sentence not only shows you have work ethic (your education is a job, after all), but also your accomplishment (Dean’s List every semester) and that you know how to balance priorities (you studied before relaxing). That’s three things you’ve shown in one single sentence. Research companies beforehand – what they’ve done, what they’re doing, and what they plan to do. Another tip: Know what the company and their vertical are all about before applying. It’ll help you tailor your cover letter and resume – for example, you can show enthusiasm in your letter for working at the company because of their innovative reputation and quality products. In your interview, you can talk intelligently about things the business is doing or the direction their industry is headed. At the very least, be sure to ask about the long-term goals of the company – it’s a nudge to the interviewer’s subconscious that you are serious about a career with the organization. Don’t forget – it’s about what you can bring to the company. 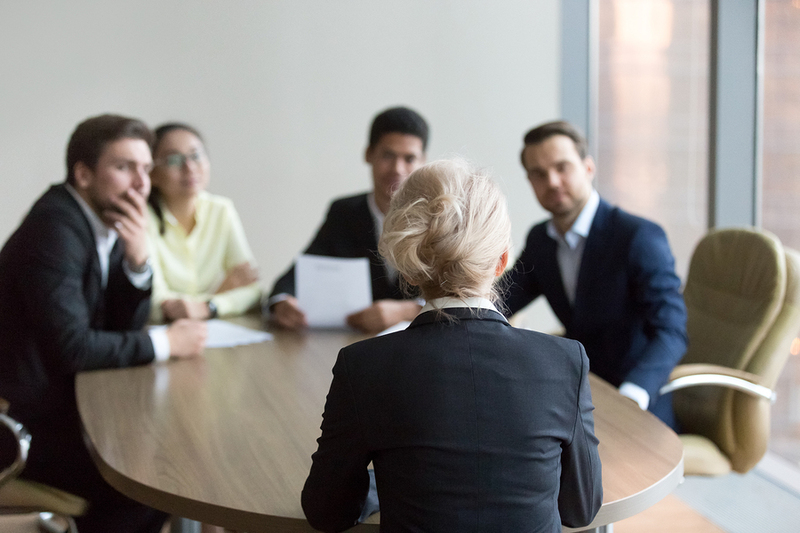 While it’s important to know and highlight your strengths and knowledge/excitement about potentially working as a sales rep at the company you’re interviewing with, keep in mind – the decision comes down to the value you provide the firm. Sure, you’re hard-working, smart, and personable. Their other finalists are, too. What is it specifically about you that no one else has, which makes you the best candidate despite your lack of experience? Maybe you have a background in finance that allows you to use your analytical thinking skills to your advantage. Perhaps you’re a gifted communicator with the ability to quickly forge connections. Or maybe you’re someone tech savvy who embraces new sales applications in order to streamline your future employer’s workflows. Whatever it is, you need to figure out your signature differentiator. It’s also good practice for sales, where you need to know what separates you and your future employer from all the rest of the sales reps and products out there. Although it’s easier getting a sales rep position with previous experience, you can still become one without a formal background. You just need to figure out what in your past is relevant, start learning about sales in any way you can, and determining what makes you perfectly suited for a given company’s sales team.